The Freedom Fone platform enables automated, interactive, two-way, audio information to be shared through mobile phone networks. The DIY platform is accessible, user-friendly, low-cost, scalable, global and does not require Internet access for users and callers alike. FrontlineSMS is a free, open source software that turns a laptop and a mobile phone into a central communications hub. Once installed, the program enables users to send and receive text messages with groups of people through mobile phones. Since it works anywhere there’s a mobile signal, it doesn’t need the Internet, a major advantage for many grassroots NGOs. Ushahidi, which means “testimony” in Swahili, is a website that was initially developed to map reports of violence in Kenya after the post-election fallout at the beginning of 2008. Ushahidi’s roots are in the collaboration of Kenyan citizen journalists during a time of crisis. Since then, it has expanded to crises and conflicts around the world as a tool for mapping information and sharing it with affected citizens. Article XIX is “a human rights organization with a specific mandate and focus on the defense and promotion of freedom of expression and freedom of information worldwide.” In addition to advocacy, it produces reports on topics relevant to press freedom. The organization’s name is a reference to Article 19 of the Universal Declaration of Human Rights, which guarantees the right to freedom of opinion and expression. CPJ is a nonprofit that “defends the rights of journalists to report the news without fear of reprisal.” It also keeps track of journalists injured or killed worldwide. The Global Investigative Journalism Network (GIJN) is composed of nonprofit investigative journalism organizations that produce stories, conduct training, provide resources, and encourage the creation of similar nonprofit groups. Global Voices is an international community of bloggers who report on blogs and citizen media from around the world. The site is translated into more than 15 languages by volunteer translators, who have formed the Lingua project. It also has an outreach project called Rising Voices to help marginalized communities use citizen media to be heard, with an emphasis on the developing world. The Index on Censorship is a British organization that promotes freedom of expression through in-country journalist training, events, and the publication of a magazine. INSI is a nonprofit dedicated to improving the safety of journalists worldwide. Based in Brussels with an office in New York, its work is similar to the American Committee to Protect Journalists (CPJ). INSI also provides resources to improve journalist safety and does some training in the field. The International Freedom of Expression eXchange is primarily an advocacy organization. IFEX is a great source of news about media, journalists, and freedom of expression in countries around the world through its twice-weekly IFEX Digest. ISLP provides pro-bono legal assistance to low-income country governments and civil society organizations in the interest of promoting just, accountable and inclusive development in line with the client’s needs. 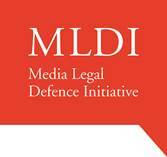 MLDI helps bloggers, journalists, and independent media outlets around the world defend their rights. It helps journalists regardless of the medium they use – print, broadcast or internet – and makes sure they have good lawyers defending them. If necessary, MLDI pays legal fees and works alongside lawyers to make sure the best possible legal defense is provided. RSF monitors press freedom violations and releases an annual Press Freedom Index that ranks countries based on their score, with a higher number indicating more press freedom violations. The Rory Peck Trust is dedicated to the support, safety, and welfare of freelance newsgatherers. Working in over 60 countries, the Trust provides financial assistance to freelancers and their families in crisis and is a source of information, advice, and resources on issues including risk assessment, safety, insurance, trauma counseling, and professional development. WAN-IFRA is the global organization of the world’s press, representing more than 18,000 publications, 15,000 online sites and over 3,000 companies in more than 120 countries. ICIJ is a network of investigative reporters in 50 countries who collaborate on stories, training, and networking. Founded in 1997, ICIJ was launched as a project of the Center for Public Integrity to extend globally the Center’s style of watchdog journalism. IFJ is a network of journalist organizations from around the world, based in Belgium. IRE, based at the University of Missouri, is the world’s oldest and largest association of investigative journalists and it trains several thousand journalists each year. IWMF is a global network of women journalists that runs leadership and training seminars in 22 countries. The Salzburg Global Seminar convenes imaginative thinkers from different cultures and institutions, organizes problem-focused initiatives, supports leadership development, and engages opinion-makers through active communication networks, all in partnership with leading institutions from around the world and across different sectors of society. AMARC brings together a network of more than 4,000 community radios, Federations and community media stakeholders in more than 115 countries. The main global impact of AMARC since its creation in 1983, has been to accompany and support the establishment of a world wide community radio sector that has democratized the media sector. CAMECO is a consultancy specializing in media and communications in Africa, Asia, Latin America, Central and Eastern Europe, the Middle East and the Pacific. CAMECO offers its services to local partners, organizations that are active in delivering media assistance, and to donors – among them many faith-based agencies. The CI is a large network of people and organizations interested in communications for development and media development. The site also contains a number of articles and other resources on topics in communications for development. CML is an educational organization that provides leadership, public education, professional development and educational resources nationally. The News Literacy Project is an innovative national educational program that is mobilizing seasoned journalists to help middle school and high school students sort fact from fiction in the digital age.The project’s primary aim is to teach students the critical thinking skills they need to be smarter and more frequent consumers and creators of credible information across all media and platforms. The Center for Democracy and Technology is a 501(c)(3) nonprofit public policy organization and the leading Internet freedom organization working at the critical edge of policy innovation. When the Internet was in its infancy, CDT shaped the first legislative choices and court decisions that allowed this technology of freedom to flourish. Today, we are committed to finding innovative, practical and balanced solutions to the tough policy challenges facing this rapidly evolving medium. When freedoms in the networked world come under attack, the Electronic Frontier Foundation (EFF) is the first line of defense. EFF broke new ground when it was founded in 1990—well before the Internet was on most people’s radar—and continues to confront cutting-edge issues defending free speech, privacy, innovation, and consumer rights today. From the beginning, EFF has championed the public interest in every critical battle affecting digital rights. A project of the Columbia University Graduate School of Journalism, the Dart Center “is dedicated to informed, innovative and ethical news reporting on violence, conflict and tragedy.” The Center organizes workshops on journalist safety. IJNet keeps professional and citizen journalists up to date on the latest media innovations, online journalism resources, training opportunities and expert advice. IJNet is produced in seven languages: Arabic, Chinese, English, Persian, Portuguese, Russian and Spanish. Users come from more than 185 countries to improve their journalism skills, find training and further their careers. Donors and media-training groups use IJNet to publicize their work to an ever-growing community dedicated to improving journalism. In addition to serving as an online resource for journalists, Poynter trains journalists online and on site at its St. Petersburg, Florida campus.